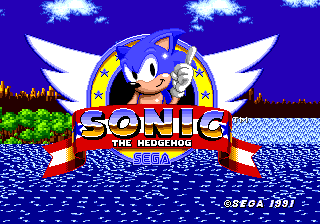 Sonic 1 - Over 9000 is a hack of Sonic the Hedgehog (16-bit) by EditChris on SSRG. Sonic is basically high on caffeine and sugar in this hack. "Sonic Team Presents" after the Sega logo is edited. "S" tube doesn't works great in the down part. This page was last edited on 9 February 2019, at 15:24.